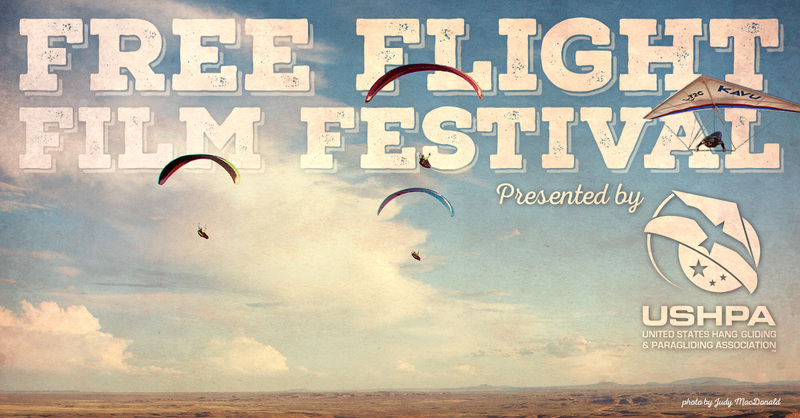 We invite all local and visiting hang glider and paraglider pilots, family and friends to join us for a film festival and fundraiser on Saturday, December 26, to benefit the preservation of flying privileges at our USHPA sites. Thanks to Donna and Thom for hosting this event at their house in Kailua, complete with a big screen and projector. We will be screening the official USHPA film festival selections, as well as a selection of locally produced flying videos. This is not a dinner event, but feel free to bring refreshments and pupus to share. The film festival selections are targeted to general audiences, so please consider inviting any non-flying friends who you think might be interested. This event is a fundraiser to spread awareness and solicit tax-deductible donations for the USHPA emergency effort to set up a Risk Retention Group to provide our own insurance for pilots and sites. 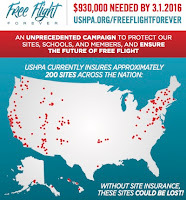 Please consider making a donation to keep our USHPA sites open, not just Makapuu and Kahana here on Oahu, but two hundred sites around the country, not to mention any future sites that need to be insured. With our support, this effort will succeed in preserving our flying privileges at premier sites around the country. Each of us needs to consider what those privileges are worth and what we can afford as individuals to ensure they are not lost. Even a fraction of the amount each of us continually spends on gear and flying trips would be worth setting aside, to avoid losing access to our favorites sites. I know we can make this happen! Details about the RRG effort are on the USHPA website. Donations can be made anytime online. But if you want to wait until the evening of the film festival, we will have a computer there with the donation page up and running and we will be encouraging folks to dig deep to save our sites! As part of the Film Festival and the fundraising effort, USHPA is also hosting the Sweet 2015 Sweepstakes, with some serious prizes from sponsors, like wings, harnesses, and flight computers. Be sure to participate and sign up before December 31. 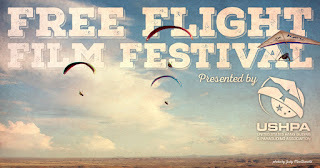 Bring a chair, a movie snack, beverage and $$ for your tax deductible donation to insure FREE FLIGHT. There will be a Raffle of USHPA T-Shirts, calendars, and other items. You'll receive one raffle ticket for each donation of (to be determined). HAVE to be PRESENT TO WIN. Anyway please Attend and read all the bullets that Alex has put into the story. We would really like to have a good showing so everyone please show. The movie will be an outside venue, it was a little chilly last night so bundle up (God, I hope no one from the mainland reads that....we are wimps). There will be a computer set up for your tax deductible donation. See you all around 6 and curtains opens at 7. Should we bring an umbrella? Or can we call a raindate?